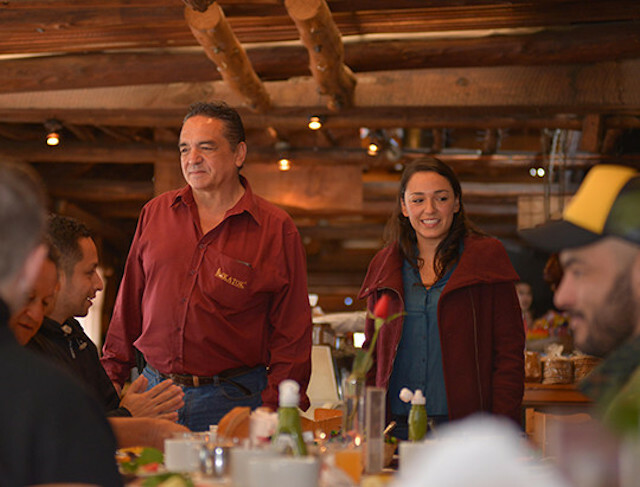 Fara Sanchez and her father Victor talk with guests at their restaurant in rural Guatemala. Family run businesses are incredibly important to the economy of Latin America, with 85 percent of companies in the region being a family-owned business. Of these 29 percent are managed by second-generation enterprising people like Fara Sanchez, who recently took over her father’s thriving business, Katok restaurant. Katok sits in the picturesque countryside of rural Guatemala, where inviting smiles and the smell of handmade sausages draw customers in, helping the restaurant live up to its name, which means “come in” in Kaqchikel, the local indigenous language of this region. Originally founded in 1961, Katok has been in Victor Hugo Sánchez’s family for years. Victor’s uncle was a cook at the restaurant and his aunt a waitress until it was destroyed during the country’s civil war. Victor rebuilt the restaurant in 1983, hoping to improve his family’s life. The business has expanded over the years and now includes a pig farm and a condiment manufacturing factory down the road from the restaurant, which supply the restaurant with homemade sausages, sauces and marmalades. In 2013, Victor passed the management of the growing enterprise on to then 28-year-old Fara. Seeking support during the handover, Fara joined TechnoServe’s Impulsa Tu Empresa program. 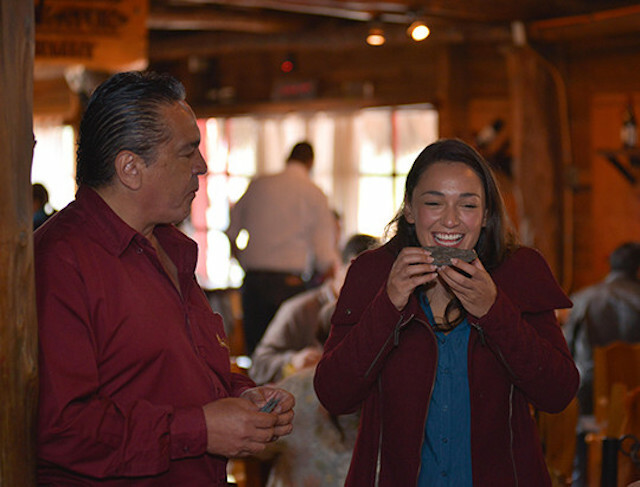 Fara samples one of Katok's dishes with her father, Victor. “TechnoServe has helped us to transition between generations,” Fara says of the program. With the support from Impulsa Tu Empresa program Fara learned financial management skills and improved operations. Together with a TechnoServe business advisor, she reevaluated pricing and identified new regional markets for their products, including restaurants in Guatemala’s largest cities. Since receiving help from TechnoServe, the business has increased sales by 10 percent and grew its workforce by 21 percent, providing economic opportunities for more than 70 families in the area. The restaurant has become a popular destination for both tourists and locals alike, serving nearly 15,000 customers a month and making more than $400,000 in sales a year, ensuring that this family business will be sustainable for generations to come. 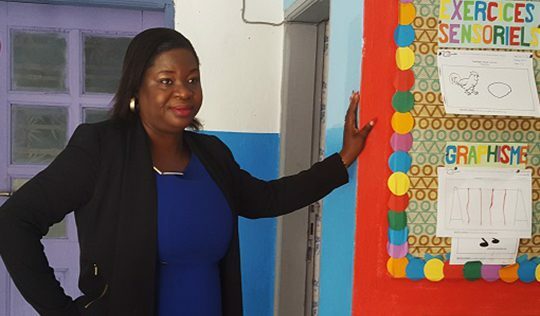 Sara Ollo Adico was determined to contribute to her community by opening an early childhood school and nursery. 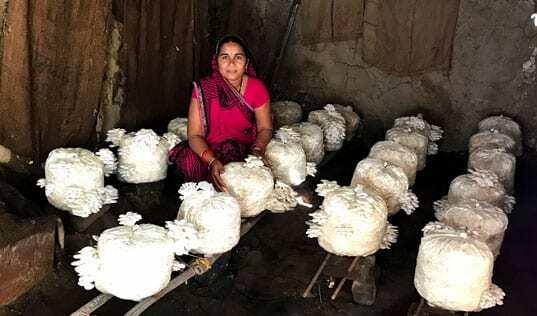 Learn how participating in TechnoServe’s business plan competition helped her make the leap from concept to reality.